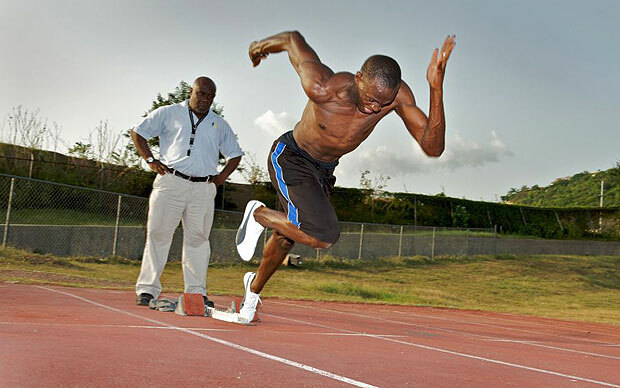 Usain St. Leo Bolt, nicknamed the Lightning Bolt, is a 6-time Olympic gold winner who has been regarded as the greatest sprinter in the history of Olympic Games. The 29-year-old Jamaican sprinter is not just known for his record-breaking speeds but also has one of the best physiques on the planet. Boasting an incredible maximum speed of 27.79mph Bolt is the current world record holder in both the 100m and 200m events with results of 9.58secs and 19.19secs respectively. 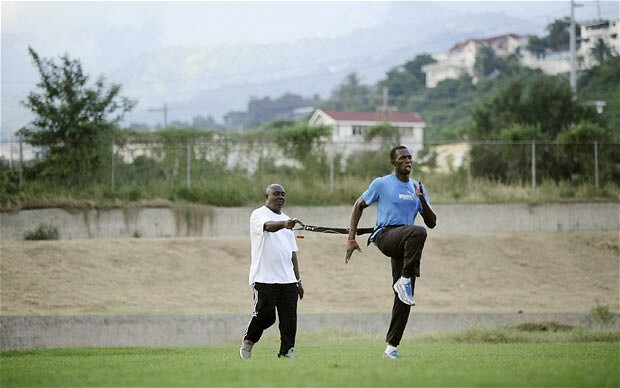 According to Usain, anyone can run at such staggering speeds. But, you need to follow his rigorous training and diet regimen to build stability and enhance strength. 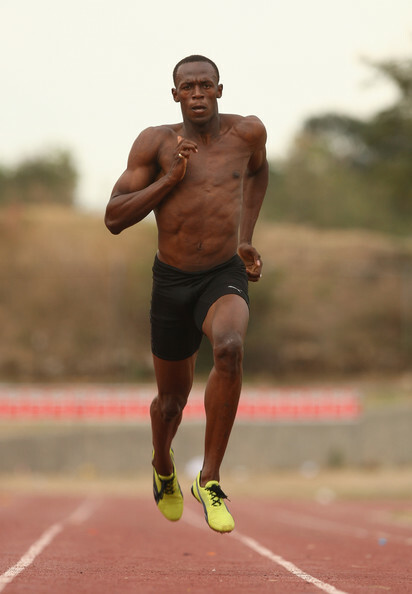 The champion sprinter spends 90 minutes in the gym every day doing workouts that are geared toward improving his speed and agility while maintaining an athletic body. He concentrates on core-centric exercises to condition his weak core muscles. Moreover, these exercises help in enhancing muscle strength and explosiveness, as well as increasing the flexibility to stretch the stride. To make the first part of a sprint race your strongest element, you should start out of the track blocks quickly. 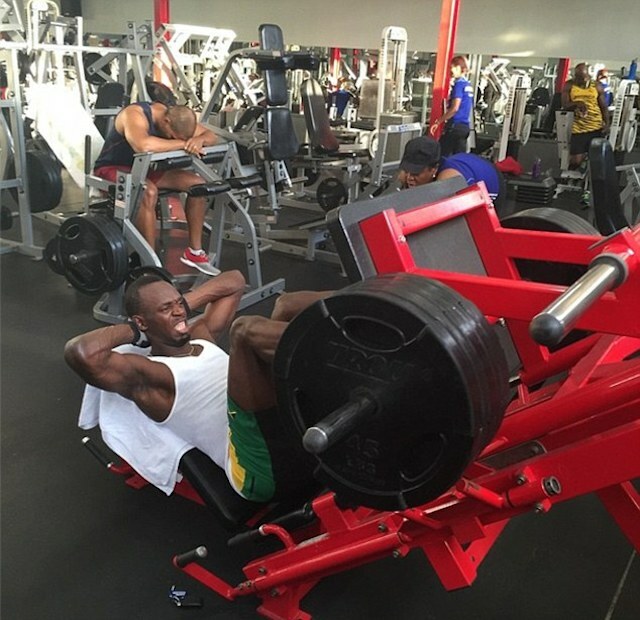 Weight training is necessary because you need to develop the power to do well on the track. A strong core is important for sprinting. Do not rush to get to the top speed. Start out by leaning forward, hold the drive phase for 20-30 meters, and then accelerate gradually. This is really interesting to read. 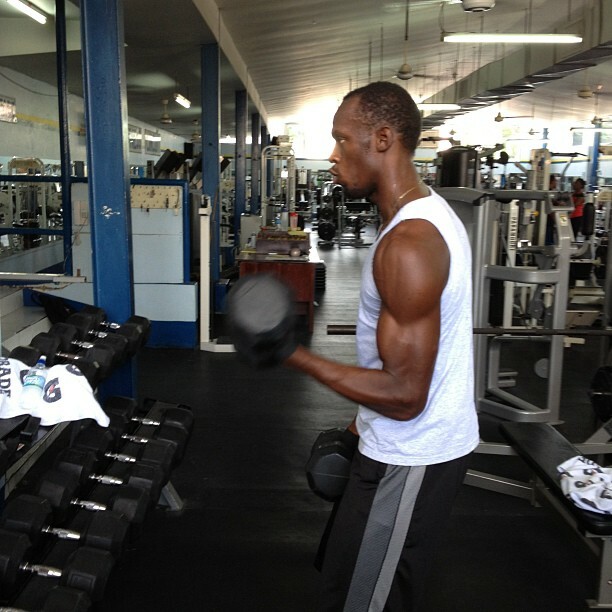 I also come across Usain Bolt Diet plan last couple of days back. He is truly a champ. Training preseason for increasing stride length may involve running stairs or up-hill running. 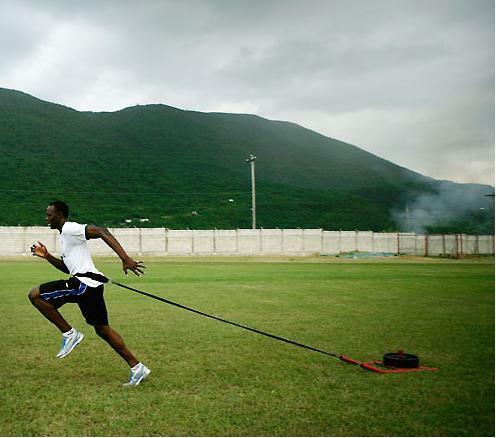 You may combine this with resistance running (by weight sled or parachute), and sprinting for 50 to 200 meters. Thanks for your helpful tips! I really appreciate this! Your tips motivate me to share my tips too, just visit my profile. sir just need the proper diet plan and workout for 100m and200m”.So i just requesting please send me the diet plan and workout. please,please……. Just to confirm; do you know if he did ALL these exercises every single day while he was preparing for upcoming races?